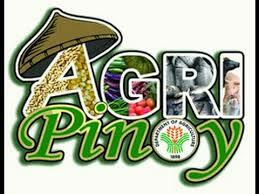 Agrikulturang Pilipino or Agri-Pinoy is the over-all strategic framework of the Department of Agriculture that guide the various services and programs of the DA from 2011-2016 and beyond. Agri-Pinoy incorporates principles and practices that optimize the development of Philippine resources, natural and human, to achieve Philippine goals in agriculture and fisheries, and contribute to national development. Food security and self-sufficiency. Agri-Pinoy seeks to meet the food needs of the Philippines, particularly staple food, and make them accessible, affordable, safe and nutritious. Sapat, ligtas, at abot-kayang pagkain sa lahat. In the pursuit of food security, Agri-Pinoy seeks to minimize our dependence on food imports, especially of staple food, by optimizing the development of the natural and human resources of the Philippines, toward increased productivity and increased incomes especially of primary producers. Agri-Pinoy promotes the principle of food self-sufficiency with full awareness of our global interdependence, and our various commitments international trade agreements. Our trade policies and practices are integral to our efforts to achieve food security and self-sufficiency. Sustainable agriculture and fisheries. To meet the ever growing needs of a growing Philippine population, we need to continually increase productivity. But in doing so, we must also insure sustainability, both ecologically and economically. Agri-Pinoy’s emphasis on sustainable agricultural and fisheries principles and practices takes into account the limited bio-physical carrying capacity of the Philippines, while investing to expand the capacity of our human resources. Natural resource management. In line with our goals of self-reliance and sustainability, Agri-Pinoy focuses on the natural resource endowments of the Philippines, and how to manage them so that they are not exhausted, while enhancing their competitive advantage. Local development. The devolution of governance and the recognition of an eco-system framework of development reinforce the Agri-Pinoy guiding principle of local development. While all outputs can be aggregated to calculate the total contribution of agriculture and fisheries to national development, Agri-Pinoy gives due emphasis to the contribution of agriculture and fisheries to local development. These four guiding principles of Agri-Pinoy are interrelated and overlap. Together, they also provide agriculture and fisheries in the Philippines a better chance to face the two major challenges of climate change and changes in the global market. Broad-based. At the heart of Agri-Pinoy is a commitment to a broad-based strategy for the growth and development of agriculture and fisheries. Why is a broad-based strategy needed? Agricultural and rural development must start from the reality that through agrarian reform, majority of our farms are family-sized or even smaller. This need not be a disadvantage since there are enough evidence that small farm systems can be as productive as large farms. In fact, at their current level of productivity, the small producers still contribute the biggest percentage of production in agriculture and fisheries. A broad-based strategy calls for equitable and proportional allocation of DA services and resources to small, medium, and big players. From the 30-35 per cent who have been traditionally reached by DA services, we need to reach out to the majority who are small producers. Broad-based refers not only to size but also to diversity of crops and production systems. This is important for flexibility and resilience in the face of climate change and changes in global trading system. There are many downsides to large-scale monoculture, not just because of the impact on biodiversity but also because of disproportionate risks. From Farm to Table. Agri-Pinoy addresses the whole system, from production to consumption. Both supply-side management and demand-side management are needed. Instead of looking mainly into production, There is a need to pay attention to the whole value chain. This includes good soil and water management, and improved seeds. The community seed-banking program seeks to encourage local seed growers to produce certified seeds and farmers to use them. The extension system needs to be revitalized through the massive retraining of technicians and farmers themselves. The policy of the DA is to devote public resources to those items that the farmers cannot take care of, like irrigation systems, infrastructure, post-harvest facilities, and other public goods. But the DA also has responsibility to insure food safety and quality, primarily through our regulatory function. Sustainable farming and fisheries systems. The need to integrate sustainability into efforts to increase productivity is well established. The challenge is to provide primary producers information and assistance so that they can adopt and develop innovative technologies and management systems. The Gulayan sa Paaralan project with the Department of Education seeks to develop an appreciation for agriculture from an early age. We also need to review and draw lessons from programs like the 4-H clubs and Future Farmers Clubs. But to enhance the appeal of farming and fishing, promote a social appreciation of the role of farmers and fishers. There is a need to develop role models of farmer-technicians, farmer-scientists, and farmer-entrepreneurs. Resilience. Although implicit in the concept of sustainability, we give resilience a distinct emphasis because of the increased impacts of climate change and changes in the global market. These actual and potential impacts have to be integrated into any agricultural and fisheries development plan. There is also a need to combine satellite mapping of vulnerabilities with soil suitability and market analysis. One key strategy is the empowerment of farmers and fishers, including provision of timely and useful information about climate change and market change. This can help them shift back from a situation of uncertainty to calculable risks. In addition, they must be assisted to diversify options and introduced to adaptive technologies. Partnerships. The promotion and development of Agri-Pinoy calls for partnerships at various levels. Partnerships with national agencies. Our starting partnership is with the members of the National Convergence Initiative which is chaired by the DA – the Department of Agrarian Reform and the department of Environment and Natural Resources. However, other national agencies may come into this partnership. Partnerships with local governments. Devolution demands this. We need to work with the DILG to assist LGUs to integrate agriculture and fisheries into their local development plans. This calls for technical assistance and capacity building, and strategic project partnerships. Partnerships with NGOs and people’s organizations. The two or more million farmers and fishers are the backbone of the production system. They need to be organized and also developed to become farmer-technicians, farmer-scientists, and farmer-entrepreneurs. To accomplish this, we need to partner with rural development NGOs who are willing to work within a shared Agri-Pinoy framework. Partnerships with the private sector. Our Agri-Pinoy framework of “farm to table” requires that we partner with many stakeholders, and the private sector play crucial roles across the whole value chain. In addition, it is government policy to promote public-private partnerships especially in larger projects. In forging partnerships, we follow the principle of diversity. We are open to work with different organizations and even different political persuasions, so long as they are willing to enter into principled partnerships, based on the principles of Agri-Pinoy.